We are a small, customer-centric real estate company serving the Greater Orlando Area with offices located in Maitland, FL. We work with both Sellers and Buyers and are well versed in all aspects of residential real estate to include Single Family, Luxury Homes, Townhomes, New Construction, Second homes, Investment Property, Short Sales, and Foreclosures (REO’s). We can also work significant commercial real estate transactions through established business relationships. 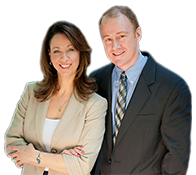 Originally licensed in 1994, we have worked for small, local brokerages and some of the biggest real estate companies in the world. That experience has taught us that it’s the skill, care, and diligence of the individual agent that forms the cornerstone of a successful real estate transaction, not just the company name on the business card. We bring big company knowledge and experience, yet maintain personal service and attention to detail.